In this 30-minute podcast conversation, we learn about ideas and strategies to enable participants of all ages — including high school aged youth — to make the most of the remarkable new creative space for artisanry, learning, making and doing, called BARN (Bainbridge Artisan Resource Network). In the BCB studio, we meet Catherine Camp, the board member and vice president for operations at BARN, who introduces us to the new BARN project for engaging local youth in the activities and programs of BARN. Finn Mander: another BHS senior who is a long-time volunteer at BCB (which is soon to be part of BARN), and who is also a leader of the 2-year-old BHS Radio Club. In the coming school year, Finn will be a leader of the new student club for video news production, called Spartan News. Madeline Corbin: this Summer’s intern at BCB who is going into her junior year at Seattle University, having graduated from Bainbridge High School two years ago. As a BHS senior in 2013-14, Madeline served as editor in chief of the Spartan Standard newspaper. 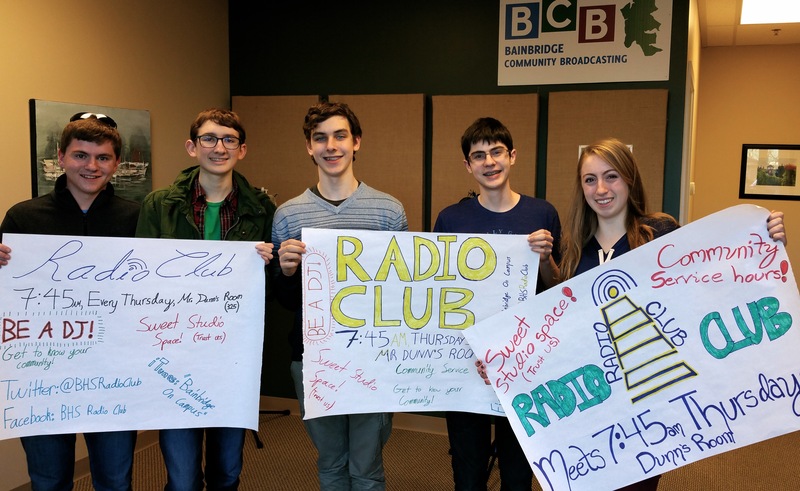 Just at BARN is intent on attracting high school students, here are members of the BHS Radio Club who worked with BCB in 2015-16. Third from left is Finn Mander, who is heard on this podcast. 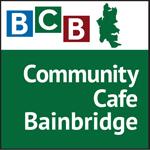 The podcast conversation explains some of the activities being pursued with BARN Youth Engagement project funds granted by Bainbridge Community Foundation. For example, we hear explanations of the upcoming Teen Camp and the fledgling Youth Council. The Teen Camp is scheduled for August 15th to 19th (six hours per day), and is open to teens age 14 to 18 who would like to experiment with glass, fiber, metal, wood and food. It’s an exciting week of activities designed to explore the breadth of hands-on crafts available at BARN. It meets at the 2,500 square foot interim BARN facility in Rolling Bay. 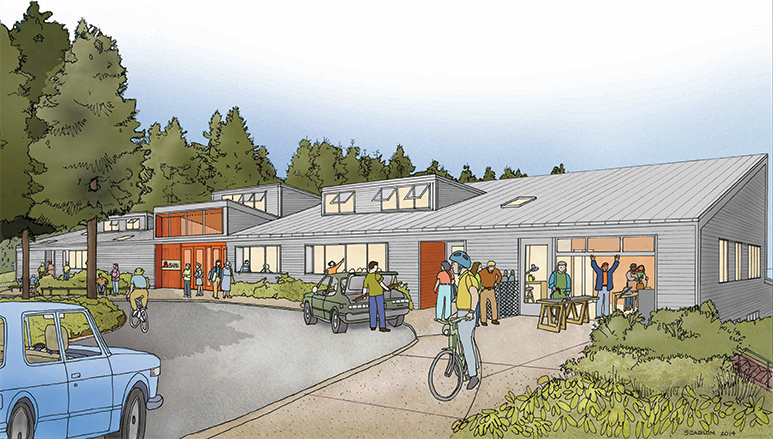 Meanwhile, construction is well underway on a 25,000 square foot two-story BARN center for craft and invention (see architect’s rendering on this page). It is located just 10 minutes walk from Bainbridge High School and is expected to open before next Spring. Credits: BCB host: Barry Peters; BCB audio editing: Madeline Corbin and Barry Peters.